Sabbath Walk: Beyond the Notion of a "Balanced Life"
One of the most common things I have heard in my social circles is the call to live a balanced life. I have never really question that is true. In fact, I lived it. I loved it. I enjoyed every nod and approval people around me give. As a working professional, I tell my colleagues that I needed a balanced life. I need to allocate enough time for my family, for my work, for my social circles, for Church, and for charitable work. All is good. Until I come to Canada. One fine day, a pastor I know said this to me. "You know, Conrade. I've always questioned the idea of 'balanced.' 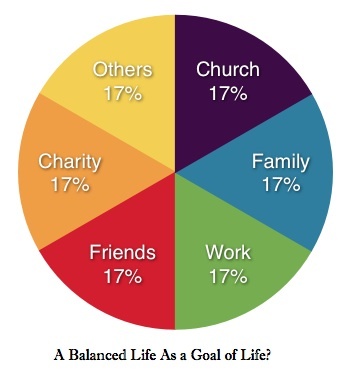 Did Christ come down to earth to call us to live a balanced life?" You may ask. What is the problem? The problem is not obvious, but very subtle. Let me share three problems about the 'balanced' view. The first is theological. The second is philosophical. The third is practical. For Christ is not some God that is balanced into our world. Christ is who we live full out for. In theology, there is a word called dualism, which essentially builds on the desire to want a balanced life. If you have some 'yin,' you need some 'yang' to counter it. If you have the daylight, you need some night to balance it. Dualism is essentially a segregation of life into 2 parts: the good and the bad. The heretics of old have produced a version of dualism in terms of 'Material things bad; Spiritual things good.' This form of dualism is also called Gnosticism. We know that this is wrong. For if it is true, then Church work will be more 'important' than work outside Church. The priest gets to be elevated above the office worker. Sacred work will seem more special than secular work. That is wrong indeed. While for the most part, trying to balance our life is commendable, that cannot be the purpose of living. Our purpose of living is to glorify God in all we do and with all we are. If we are focused on 'balancing our faith,' we become stagnant just like a ball unable to move when the north-wind encounters a south-wind that is equal and opposite. 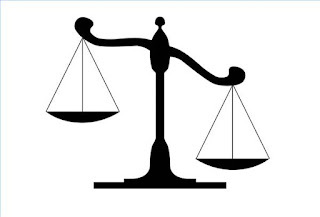 If we take 'balance' to the extreme, does that mean that we must balance life by making sure our good works are well balanced by their evil equivalent. If 'balance' is the end-game, it is not surprising that in pursuing balance, every act of good needs to be 'balanced' by some evil. That will be ridiculous. When Christ calls us, we are called all the way. Another problem scenario is how pastors spend time with their congregation. If balance is the overriding doctrine, the pastor will have to divide his time equally with every member. What about those who are really needy at any one time? Does the pastor then need to clock in each member? Surely, there are some members in the church who need more tender loving care than others. There are also times in which some members are best left alone. If we aim at balance as a rule, we end up being vulnerable to worldly expectations instead of being sensitive to the leading of the Holy Spirit. POINT: Balance may be a way of life, but it is not to be the "end" of all things. If balance is the goal of life, we're always in suspension. "I try not to be too involved in church because I am afraid of becoming sucked in. I just want to balance my life." He uses this as a reason for not serving in Church. For me, when I hear this, I get sad. The philosophy is all wrong. What do you mean by 'too involved?' What do you mean by balancing your life? The fact is, when a person says things like these, he is already living an unbalanced life. His center of gravity is the self. If our aim is 'balance,' then we have a problem. Balance calls us to do 'something,' not 'nothing.' Balance will have a problem with the word 'better.' In fact, as long as balance is our key goal, the center of control is not God, but us. We are masters of our own controlling of balance in our life. For Christians, our call is to Christ. It is out of our obedience to Christ that directs all of our living, our thinking, and our need to 'balance' our activities. This calls for radical living. There are many Eastern philosophies that use 'balance' as their doctrinal base. Traditional Chinese medicine essentially uses this as a key diagnostic feature. It works. Personally, I have benefitted from TCM. There are so many things that seem right. When you are tired, rest. When you are sad, try to be happy. When you lack energy, take some energy booster. The practice of acupuncture is another example of how the Yin-Yang philosophy is put into practice. Again, let me assert that while there are many truths in balancing life according to the Yin-Yang philosophy, it cannot be the goal or the destination of life. For Christians, Christ must always be our goal. Before John Stott died, he published a book that summarizes his major convictions about life. 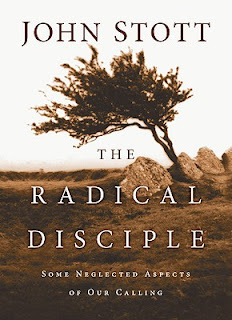 The book is called 'The Radical Disciple' where he talks about 8 aspects of a radical disciple. One of the eight happens to be 'balance,' but understood in a Christological perspective. On closer reading, Stott's rendition of the word 'balance' is based on six images of growth. As servants of God, we are called to pilgrimage and citizenship. I suspect Stott's intention is not 'balance' per se but radical application of all 6 aspects of growth. His idea of 'balance' is to grow all of them proportionately rather than equally. The classic hymn, 'I SURRENDER ALL' is a hymn of unreserved love for God. In a balanced life paradigm, we can only sing 'I Surrender Some.' For how can we balance our lives only with God? Surely, our family, our friends, and our other interests need to be considered too, right? Wrong. When we are called to Christ, all of these things are to be in Christ's perspective. That means we grow as best as we can at each stage of our lives. At certain times, we are called to spend more time to build up our family, in Christ. At other times, we are called to pursue our business goals to support our family, in Christ. Still other times, we may be called to spend lots of time in Church, to serve the community, in Christ. Whatever Christ has called, we are to live it out to the full. 100% of all, not just a 'balanced' number that we arbitrarily pluck out of our schedule. See what Paul writes about 'every way' and not just 'some' of the way when it comes to preaching Christ. The Greek word 'panti' comes from the root word 'pas' which means 'all, every, the whole.' It is a radical desire that Christ is first. If we have a 'balanced' view paradigm, practicing Christ is first will be impossible. For spiritual growth is about 'more and more,' never 'more or less.' It is about progress in Christ, not about controlling our lives in balance. It is about radical living, not balanced living. When Christ calls us, he calls us to go all the way. He does not call us halfway. For if we think we are good enough to be half-way in, remember that it also means we are half-way out.